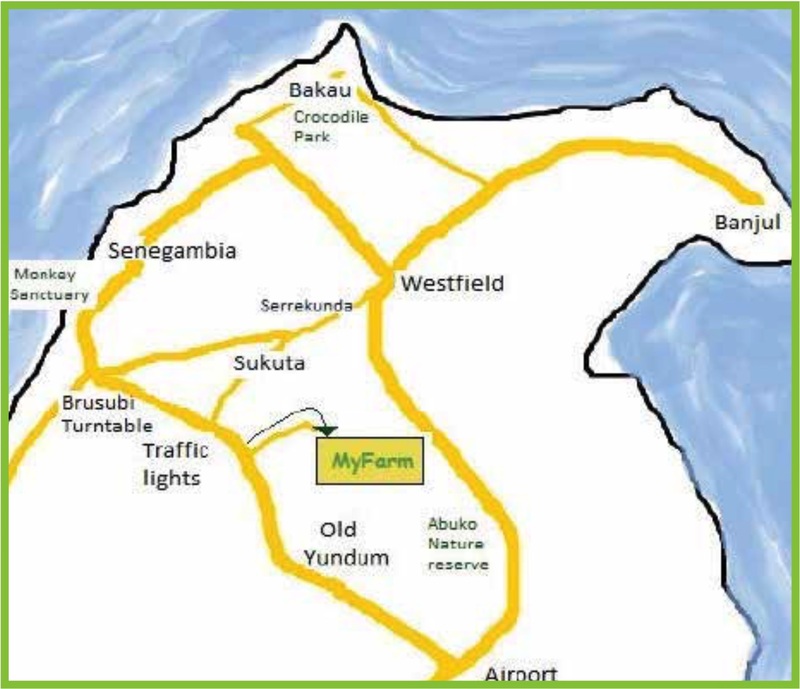 MyFarm The Gambia is located only 15 minutes from Senegambia, 2 km off Costal Road – ask for the “Nema junction”. Turn right off the sand road at the big silk tree and continue through the mango orchard. There is a sign board on Costal Road to MyFarm. In Norway, Gambia Startup is registered under the foundation Africa StartUp with the org. no 992967897. MyFarm The Gambia is located only 15 minutes from Senegambia, 2 km off Costal Road - ask for the "Nema junction". Turn right off the sand road at the big silk tree and continue through the mango orchard.